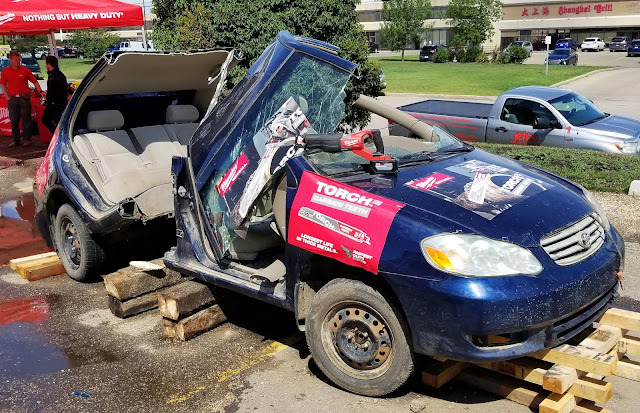 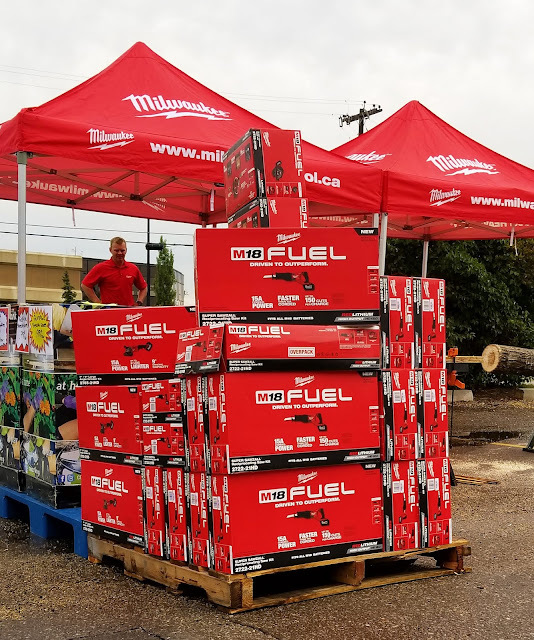 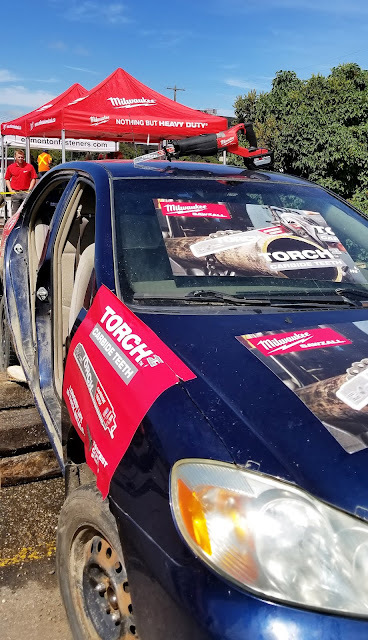 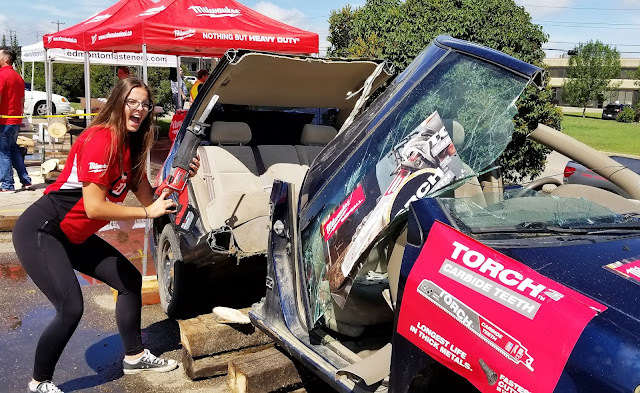 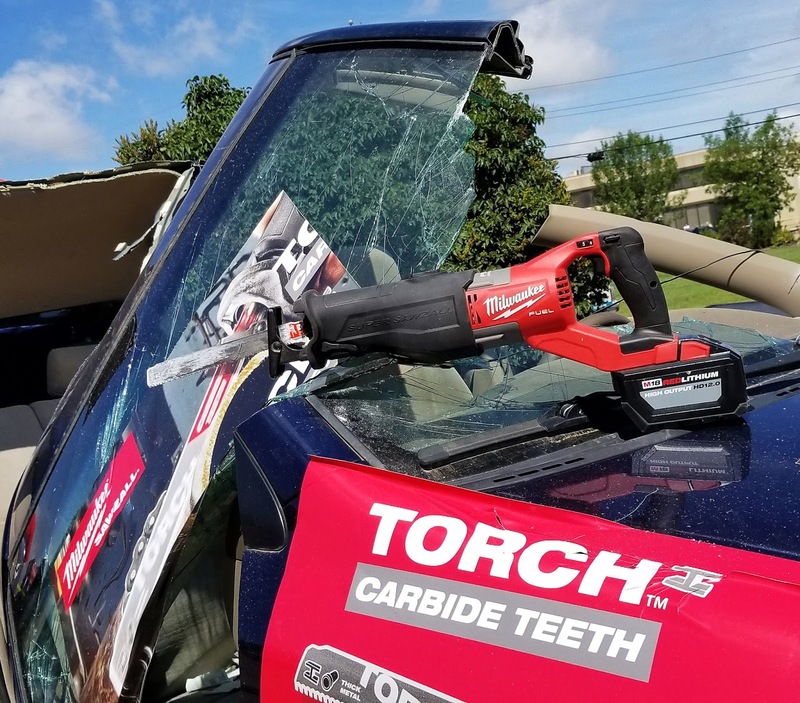 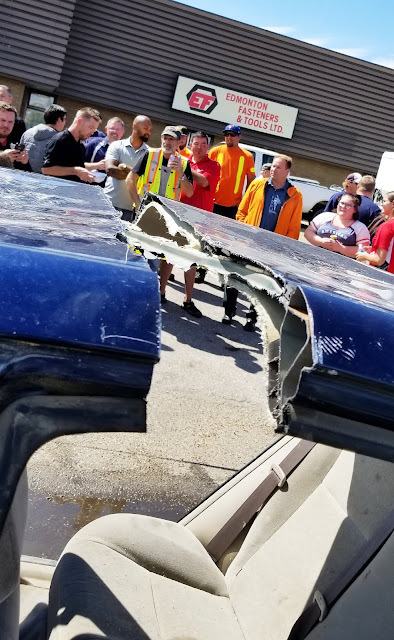 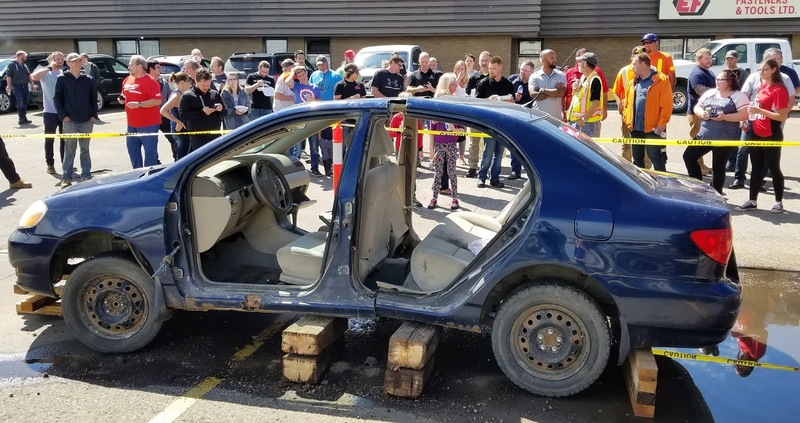 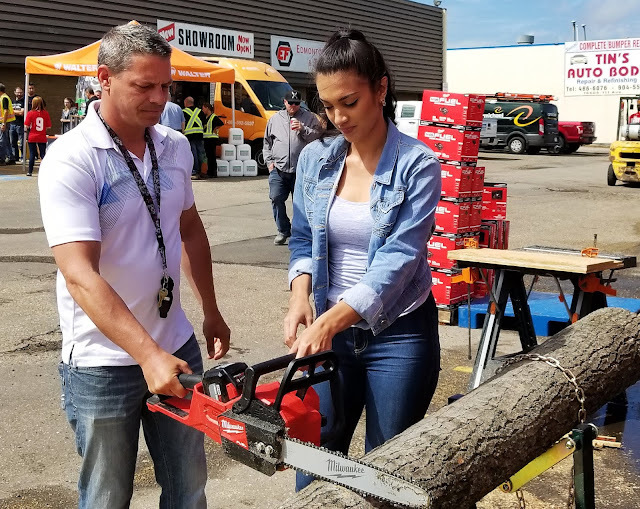 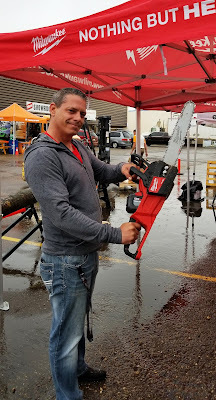 Edmonton Fasteners Blog: Milwaukee Car Cut Event! 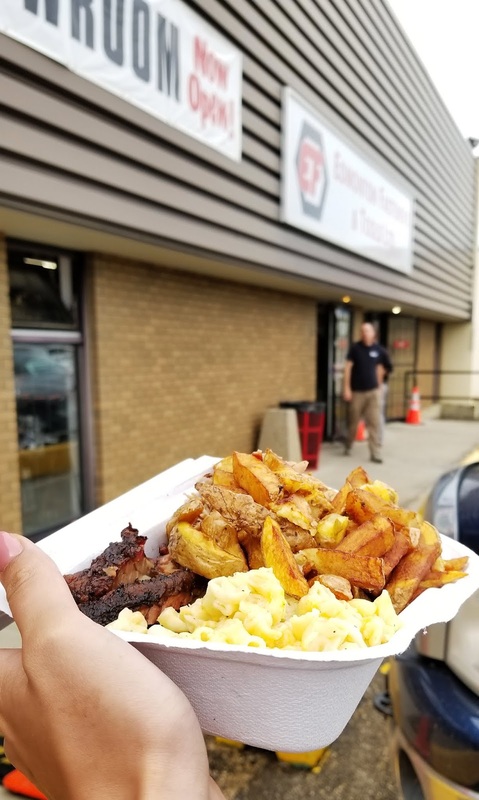 The turnout was big and we had a REALLY good lunch: double-fried fries, mac & cheese, & huge slabs of brisket for everyone. 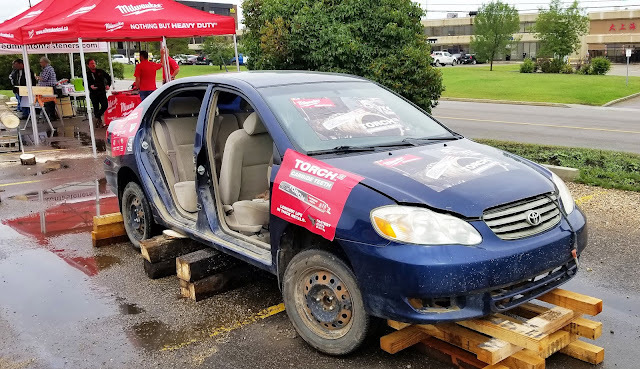 The event ran from 11 am to 2 pm. 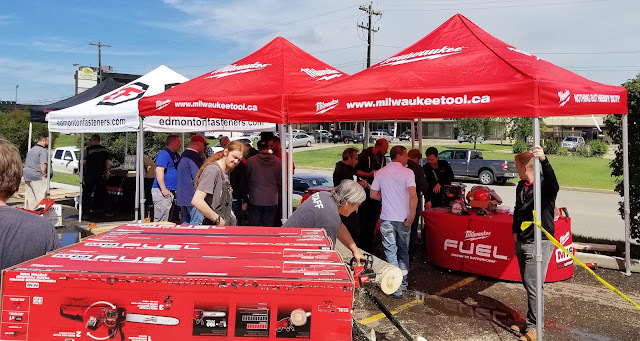 There were demos to enjoy, amazing event-only deals to take advantage of, and people to network and socialize with in the beautiful July sunshine. 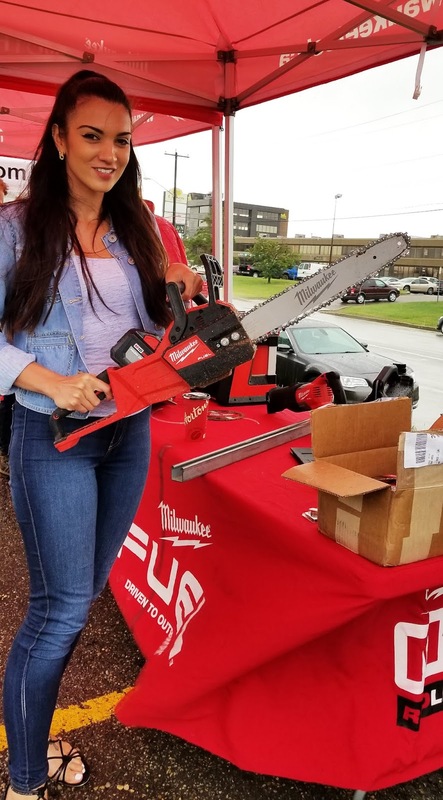 On to the best part...the car cutting! 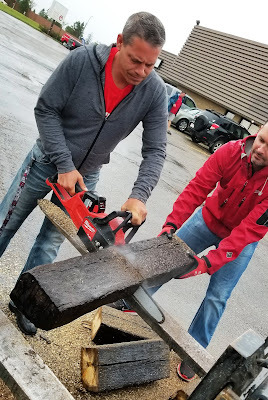 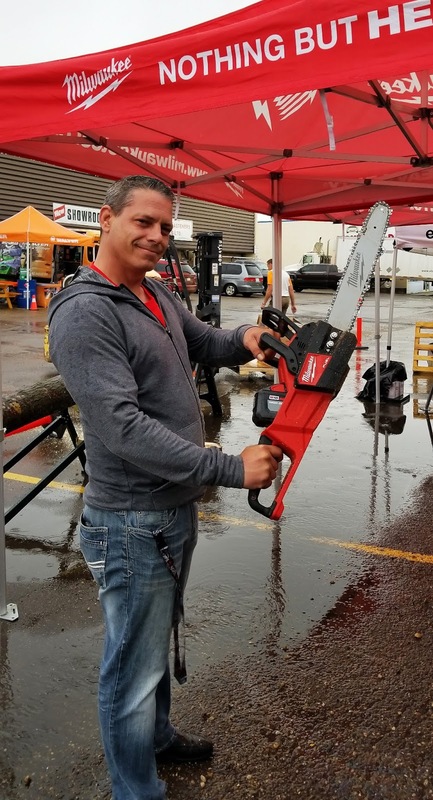 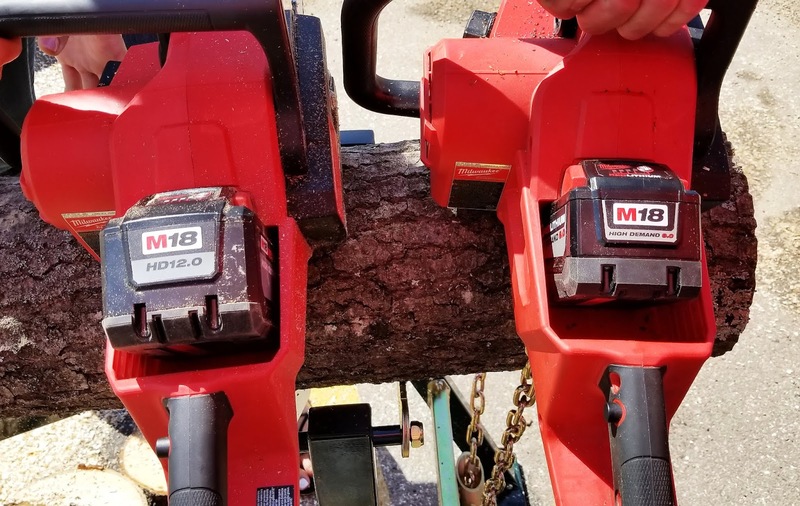 Chris P., one of our valued Edmonton Fasteners salesmen, did the honors of cutting a car with the new Milwaukee M18 Fuel Super Sawzall! 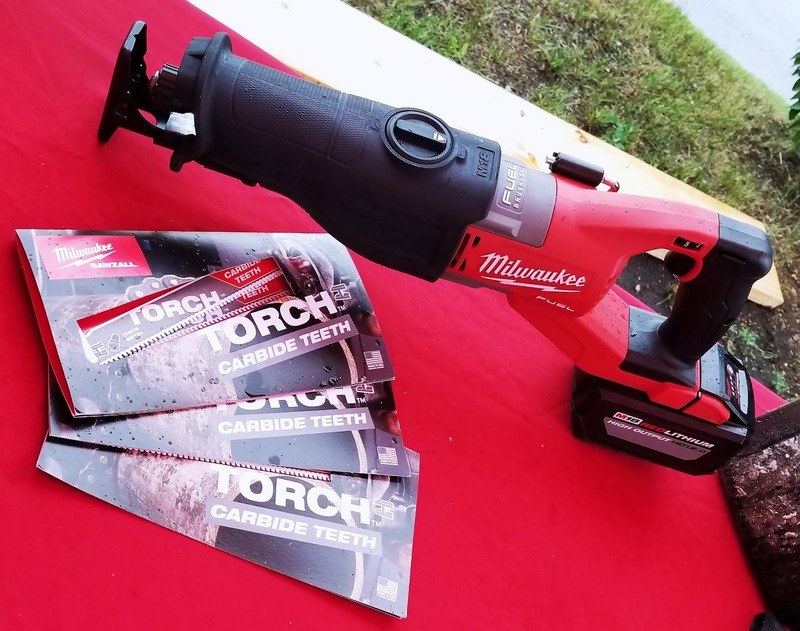 The blade used was the Milwaukee 9" 7 TPI Torch Sawzall Reciprocating Saw Blade (on sale now) with carbide teeth and made for cutting metal. 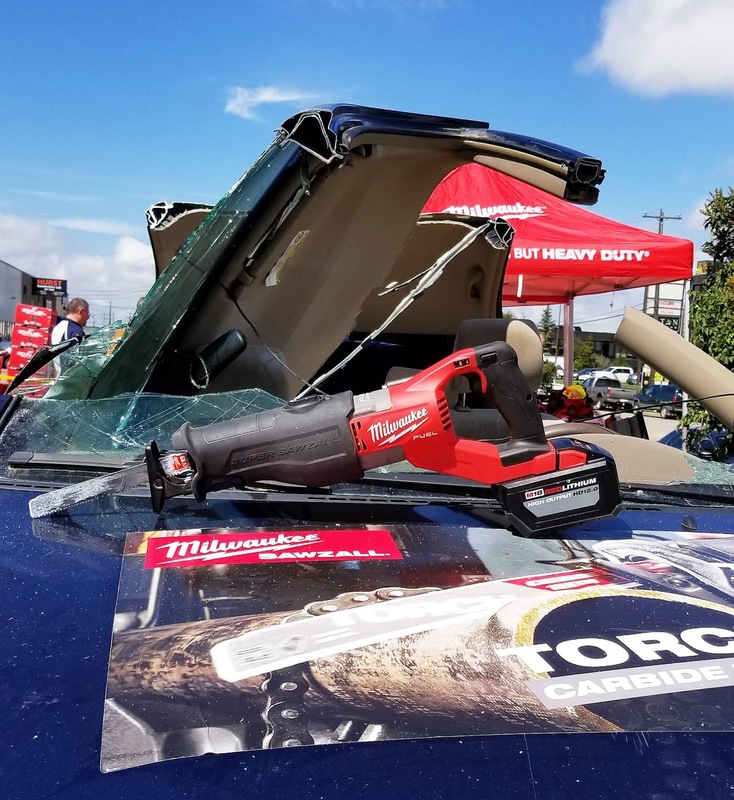 Cutting a Car In HALF | Milwaukee M18 Fuel Super Sawzall Reciprocating Saw!